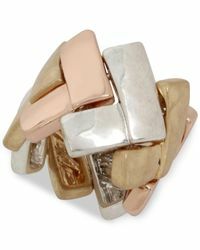 Keep your look unique with the contemporary style of this tri-tone chevron ring, fashionably designed by Robert Lee Morris Soho. 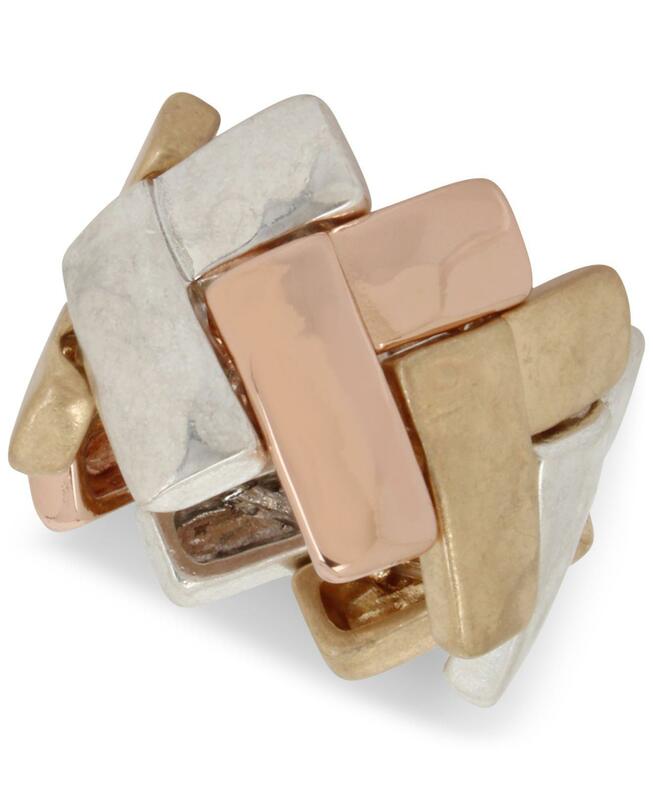 Set in silver-tone, gold-tone and rose gold-tone mixed metal. Size 7-1/2. boxes, or APOs.